'cinquanta3' is part of Battistella, a group established in 1953 and sister company to Novamobili and is one of Italy's leading manufacturers of furniture. They offer a modular system similar to Novamobili but are a perfect mid-range wardrobe option using neutral shades in hard wearing MFC board. 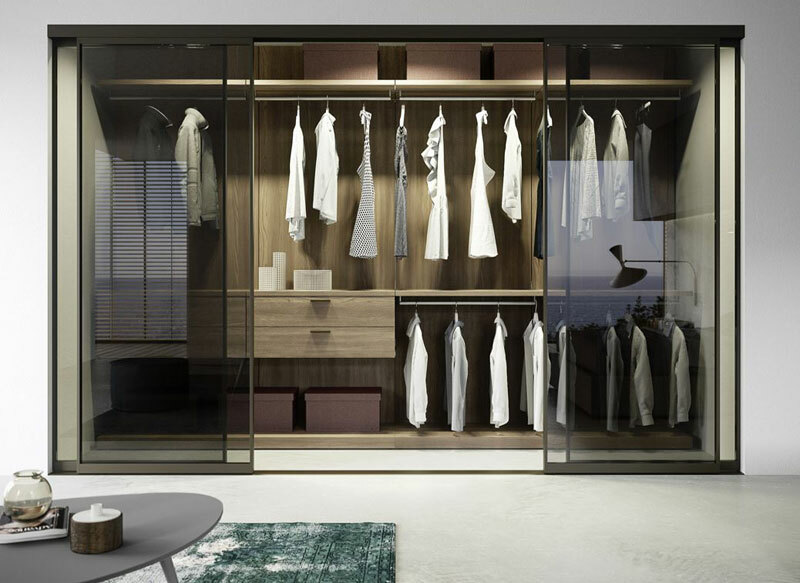 As the design and configuration of Battistella wardrobes is uniquely tailored to your requirements, our team will provide first-hand advice on styling, finish and colours by range. 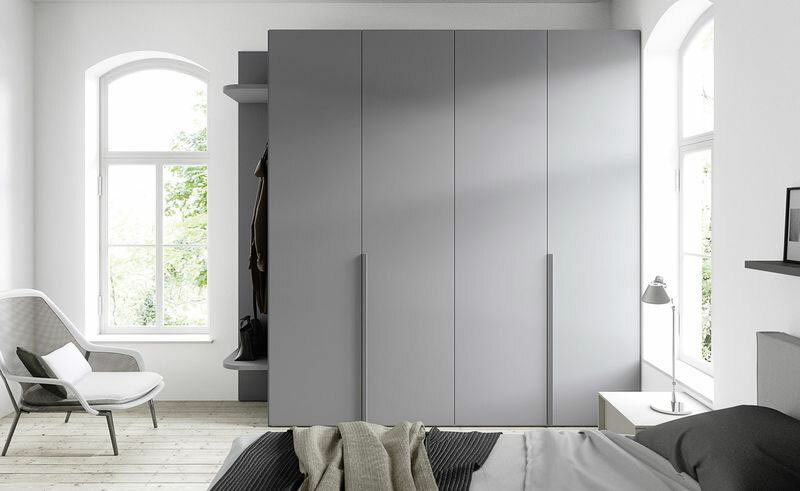 These hinged door wardrobes stand out for the versatile design of its components. They can be configured to provide a sleek and stylish design and are available in a neutral colour palette for a modern, sophisticated look. The full height hinged doors come in a range of modular sizes for maximum flexibility and are available in a great range of exterior finishes and colours, with an interior finish in Nuvola. The full height hinged can be tailored to fit sloping ceilings. These sliding wardrobes provide a functional solution capable of optimising the available space. The solutions pictured are available in all finishes with the interior finished in Nuvola. 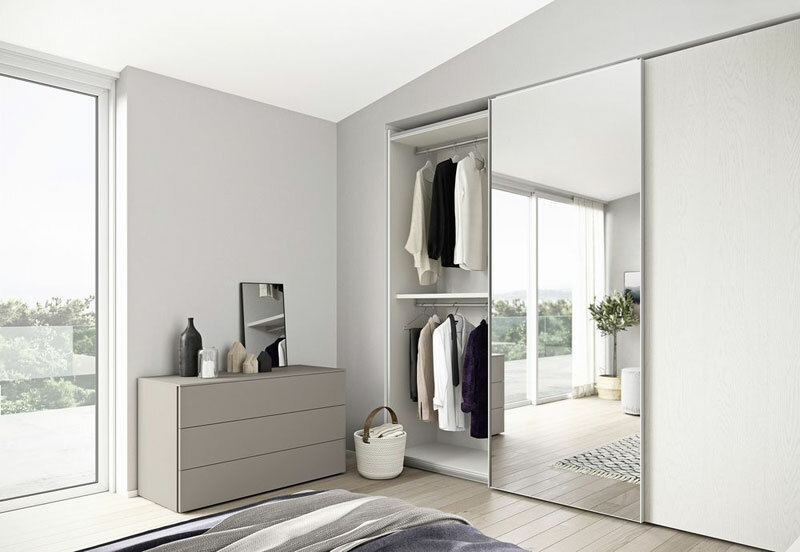 The full height sliding doors also come in a range of modular sizes for maximum flexibility, with many different accessories to create well-organised storage. As with Novamobili, cinquanta3 can be used to create desirable walk in wardrobes with well-organised storage and a place for everything. The slotted rail walk-in closet is designed to organise your wardrobe to best effect, with a host of accessories for customising your look. Available in all finishes.